Adult Sunday School: 9:00 – 9:50 AM (in the annex). 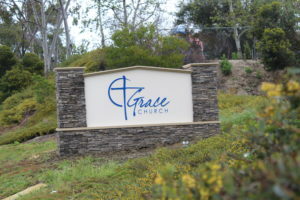 Grace Church of Laguna Niguel is an independent reformed church committed to the exegetical teaching of God’s word. We hold to the traditions and theology of the reformers and take great pleasure in discovering God through His word. Our worship includes the reading of Holy Scripture, singing of psalms, hymns and traditional songs, the offering of prayer, the expository preaching of the Word, and the presentation of offerings. Driving Directions: From I-5, head toward the ocean. Turn left on La Plata Drive and then enter the second driveway on the right (behind Child Time). Office Hours: Monday – Friday, 8 a.m. – 3 p.m.
Grace Church of Laguna Niguel is firmly committed to the authority of God’s Word. We are a group of believers bound together through a common faith in the Lord Jesus Christ. Grace Church is led by a plurality of pastors and elders under the authority of Jesus Christ, the Chief Shepherd. At Grace you will be nourished in the Word through a deep commitment to Christ-centered, expository preaching. We also place a high value on community life within Grace Church through a variety of ministries and fellowships where deep and edifying friendships can be developed. Church Fellowships are a regular part of our weekly and monthly calendar and we purpose to encourage lasting and healthy friendships within our church body. If you would like to learn more about the church, feel free to call the church office or just explore this website. Our hope is that we can be of service to you as you seek to grow in the grace and knowledge of our Lord and savior Jesus Christ. Our Statement of Faith is contained in the Westminster Standards (The Westminster Confession of Faith, the Larger Catechism, and the Shorter Catechism). 3. We believe that Jesus Christ was begotten by God, conceived by the Holy Spirit and born to the virgin Mary (John 1:1-14; Mat. 1:18; Luke 1:26-38; Mat. 1:18-25; Is. 7:14; Luke 1:27). 4. We believe in the Holy Spirit, the third person of the Trinity, who convicts the world of sin, righteousness and judgment. He is the life of the believer and He empowers the preaching and teaching of the Gospel (John 14:16; Mat. 28:19; John 16:7-11; John 3:5-8; 1 Cor. 12:13; Titus 3:5: Eph. 1:13; 4:30; 1 Cor. 6:19; Rom 8:9,11; 2 Cor. 1:21,22; Eph. 3:16; John 16:13; Rom. 8:4, 14, 26-27; Eph. 5:18; Gal. 5:16; John 5:15-21; Gal. 5:22-25). 5. We believe that mankind was created in the image of God, sinned, and thereby incurred not only physical death, but spiritual death, which is separation from God, and that human beings are born with a sinful nature (Gen. 1:27; 5:1; 1 Cor. 11:7; Rom. 6:23; 3:10; 8:7: Gal. 3:22). 6. We believe that the Lord Jesus Christ died for our sins according to the Scriptures as a representative and substitutionary sacrifice, and that all who believe in Him are justified on the basis of His shed blood (2 Cor. 5:14-21; 1 Cor. 15:22; Heb. 4:15-16; 1 John 3:5; 1 Cor. 15:3; 2 Cor. 5:21; Rom. 5:8; Rom. 1:13; 1 John 2:2; Gal. 2:16; 3:11; Deut. 25:1; Prov. 17:15; Rom. 3:23-26; 4:5-8, 25; 5:18f; 8:33). 7. We believe in the resurrection of the crucified body of our Lord, His ascension into heaven and His present life there as High Priest and Advocate for us (Luke 24:23-40; Rom. 10:9, 19; 1 Cor. 15:12-23, 35-37; Acts 1:1-11; 1 Pt. 3:22; John 14:18; Heb. 4:14; 5:1-10; 13:5; 7:25; 8:1,2; 9:11-15). 8. We believe in the blessed hope and the personal, visible return of our Lord and Savior, Jesus Christ (Titus 2:13; Rom. 8:18-25; 1 Pt. 1:7,13; 4:13; 2 Thess. 1:7: 1 Cor. 1:7; Acts 1:11; Mark 13:33-37; Mat. 24:22,24,29-51; Luke 21:34; 2 Pt. 3:11; Mat. 24:42-51). 9. We believe that all who receive by faith the Lord Jesus Christ are born again by the Holy Spirit and thereby become children of God and heirs of eternal life (Rom. 10:14,17; Eph. 2:9; Rom. 3:20; Titus 3:5; Eph. 2:10; Mat. 5:16; James 2:17-26; John 3:7; John 1:13; 3:6; John 3:8; John 3:5; 2 Pt. 1:4; Ez. 11:19; 36:26; 2 Cor. 5:17; John 1:1-12; Rom. 8:9, 14-17; Rom. 8:19-23; 1 John 3:2). 10. We believe in the bodily resurrection of the just and the unjust, the everlasting conscious suffering of the lost in hell and the fellowship of the saved in heaven (1 Thess. 4:13-18; 1 Cor. 15:51-58; Rev. 3:5; 13:8; 20:11-15; 21:8, 27; Mat. 25:31-46; Luke 10:20; Phil. 4:3; Acts 13:48; Luke 16:19-31; Mat. 25:30; 24:51; Heb. 12:23; 2 Cor. 5:6-9; Phil. 1:23; Rev. 6:9; 20:4; John 14:1-6; Heb. 1:10-16; Rev. 20:15; Mat. 13:36-43). James is one of the founding Pastors of Grace Church. James was born and raised in the local community, and began his full-time ministry life in Romania as a missionary and church planter from 1992 to 1994. It was while ministering in Romania that James met and fell in love with his lovely wife, Ani. 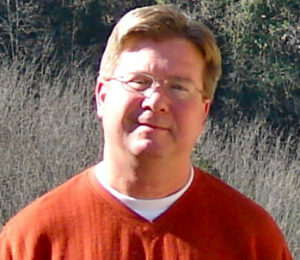 He served as Youth & Missions Pastor of Pacific Hills Church, Laguna Hills from 1997 to 1999. James earned his undergraduate degree from Biola University and his Masters from Westminster Theological Seminary. He is on the Board of Grace Classical Academy, Orange County’s first classical Christian school. James and Ani have three children. Clark has been a member of Grace Church since 2008 and has served as a Sunday School teacher and as a deacon for several years prior to being ordained as an elder in 2016. 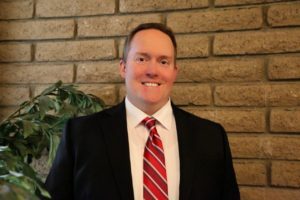 He earned his undergraduate degree in Liberal Studies from The Master’s College in Santa Clarita, CA and is currently a student at Reformed Theological Seminary. Clark and his wife, Dana, have been blessed with four children and consider it a great joy and privilege to be a part of and serve Grace Church. Guy and Colleen have been married since 1967 and have 4 children and 10 grandchildren. In addition to being an Elder of Grace Church, he also is a founding Board member of Grace Classical Academy. 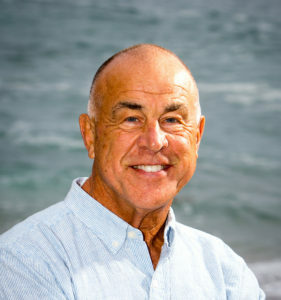 Guy has been active in the community for many years, serving on numerous boards and committees, including the Foundation Board at Mission Hospital, Laguna Niguel YMCA, Chairman of Mexico Christian Missions and Chairman of American Family Living. Guy recently served as President of the Million Dollar Round Table, an international organization with 30,000 members in 75 countries. 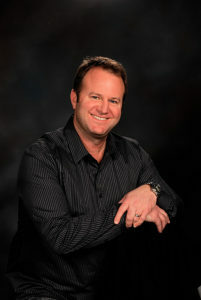 He is ranked among the top 30 in the industry and has a financial services practice in Irvine. 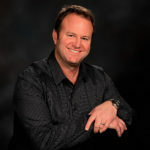 He was recently recognized as one of the top 250 wealth planners in the US by Worth Magazine. Guy holds a Bachelor of Science degree from Claremont McKenna College in Economics, a MBA from University of Southern California in finance, a Masters in Financial Services and a Masters in Management from the American College in Bryn Mawr, Pennsylvania. Guy is a well know author and speaker, having lectured in 15 countries and written more than 6 books, having spoken to audiences around the world on Christian financial principles as well as accepted wealth planning strategies. In 1997, Glenn and his wife Lisa sold their veterinary practice and served overseas with Christian Veterinary Mission (CVM) in northern Thailand for 4 years, with some short-term work in northern Laos and western Nepal, doing community health and development work and working with orphanages. Since returning home from the field in late 2001, they have started a veterinary practice in Laguna Niguel. Glenn also served on the Board of Directors of CVM for 4 years. 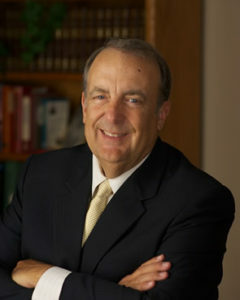 Glenn received his Doctorate in Veterinary Medicine in 1976 from Kansas State University, and for a while was enrolled in the Masters program a Westminster Theological Seminary on a part time basis. Lisa and Glenn were married in 1990, and are the parents of two children, Ethan (2006) and Indya (2011), with Ethan enrolled at Grace Classical Academy and Indya soon to be as well. Patrick and Susan McCafferty have been married since 1990 and joined Grace Church in 2000. They previously served at Pacific Hills Church where they met many of Grace Church’s members, including Pastor James. Patrick was born and raised in Santa Ana, a 2nd generation Southern Californian. Patrick began service as an usher for Grace in 2000 and became a Deacon in 2002. He served as Deacon Board Chairman from 2005 until he was invited to serve as Elder in 2009. 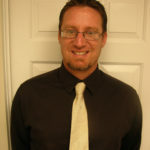 Patrick earned a BA in Social Psychology and a Masters in Political Science at UC Irvine. 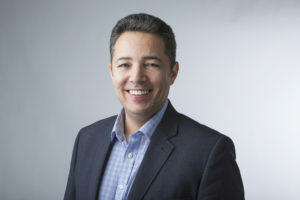 He also earned the designation of Chartered Property and Casualty Underwriter while working for a large insurance company from 1988 to present. Patrick and Susan have a passion for serving the Elderly and lead the Elderly Ministry at Grace Church, visiting with those housed in a local assisted living home monthly for the last 5 years. They have 2 children: Nate who is a Staff Sgt. in the US Marine Corps and Sean who works in construction in the Inland Empire. They also enjoy their two grand daughters: Kelani and Katie. Michael and his wife Linda have been married for 11 years. They started attending Grace Church in the Summer of 2008. Michael served in the United States Marine Corps from 1987-1991. In the Summer of 1991 the Lord was pleased to save him. Michael graduated from Azusa Pacific University in 1997. 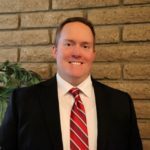 He had worked as an outside sales rep in the flooring industry for 13 years, but now enjoys working as a placement rep for the elderly in the Home Care industry. 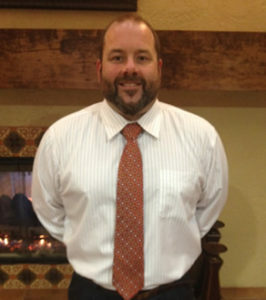 Michael has enjoyed coaching High School Football in Orange County, as well as, youth football over the years. Michael served on the Deacon board of his previous Church, and has led various Community Groups while a member of Grace Church. He and Linda have a son David, and they live in Irvine. those resources to those who are in need within the church here at Grace and also to our brothers and sisters elsewhere in the world. Because the Scriptures give great place to the caring of the poor and needy (Psalm 41:1, 1 John 3:17,18) the deaconate at Grace Church serves an important and biblical role as representatives of God’s mercy and grace. If you have any questions or require assistance please feel reach out to any of the deacons or contact the church office. 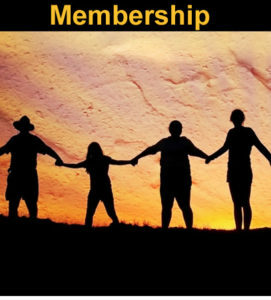 When is the next Membership Class? Classes are held 2x per year. Our next class will be on Sunday, February 11th from 5:00 pm – 8:30 pm.